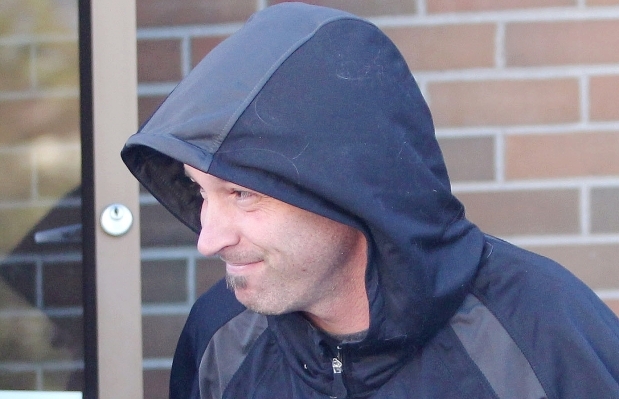 An Airdrie high school principal said he is “deeply alarmed” that a teacher has been charged with sexually assaulting a 17-year-old female student. According to court documents, RCMP have charged John Christopher Miller, 36, with sexual assault and sexual exploitation for allegedly having a relationship with the student. He is a science teacher at George McDougall High School in Airdrie. The incident came to the attention of police on Tuesday when they were investigating an unrelated hit-and-run traffic collision. A third party, a female, approached police with the allegations. An investigation ensued and the man was arrested on Wednesday. The principal of George McDougall, Ed Polhill, issued a letter Thursday morning informing parents that the staff member in question had been suspended. “During the next few days and weeks, I would ask that you monitor your child and encourage them to discuss any concerns they may have in relation to this incident,” he said. Counselors will be on site to support students and staff of the school. The accused teacher appeared in Airdrie court on Thursday. According to his Facebook page, Miller became a permanent teacher in May 2011. The school’s website said he teaches science courses at the high school. Police took the unusual step on Thursday of not releasing the accused’s name saying they did not believe there were additional victims in the case. “Since it’s isolated, the RCMP’s position is we won’t release the name at this time to protect his innocent children,” Insp. Tony Hamori said. Sometimes police will withhold releasing the identity of the accused if it would identify the victim, who can’t be named by court-ordered publication ban, but that is not the case in this instance. Angela Spanier, spokeswoman for Rocky View Schools, said the school will not release any information on the teacher. She said all staff must undergo criminal record checks and vulnerable sector checks as a condition of employment. The school was hit hard by the allegations. “This morning was very difficult with the news as it broke, but this afternoon it’s a little bit more settled. All the kids are in class and of course their teachers are with them and we have counsellors on site,” Spanier said. She said the school was alerted by police about the allegations and the teacher was then suspended with pay until the case is settled in court.